The California condor (Gymnogyps californianus) is a New World vulture. 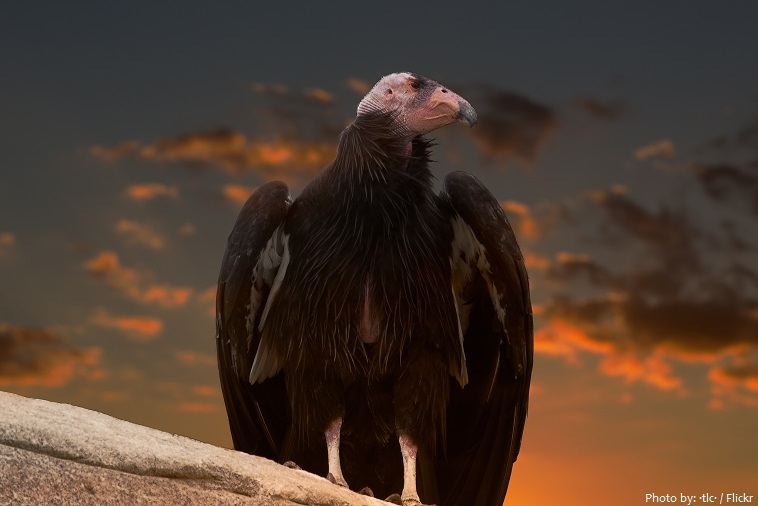 When Europeans arrived in North America, condors could be found all throughout the mountain regions along the Pacific Coast. Due in large part to habitat loss, illegal shootings, and lead poisoning, by 1985 the entire wild known population had been reduced to just nine birds. 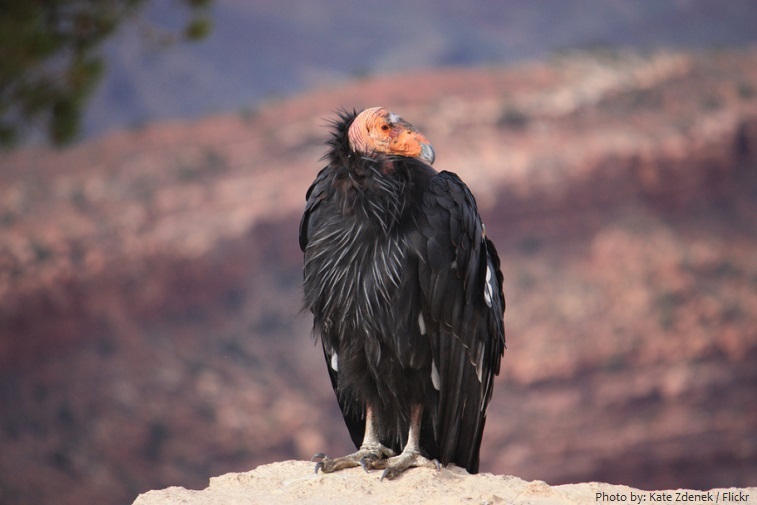 The last free-flying California condor was captured in April of 1987. After several years of a successful captive breeding program in the San Diego Wild Animal Park and the Los Angeles Zoo, the first two condors were reintroduced to a California wild sanctuary in 1991. The California condor is one of the world’s rarest bird species: as of December 2016 there are 446 condors, with more than 270 flying high in the wild. 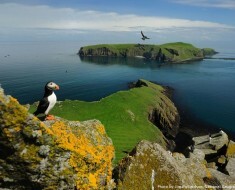 However, as they continue to recover, these birds still face many threats from humans. 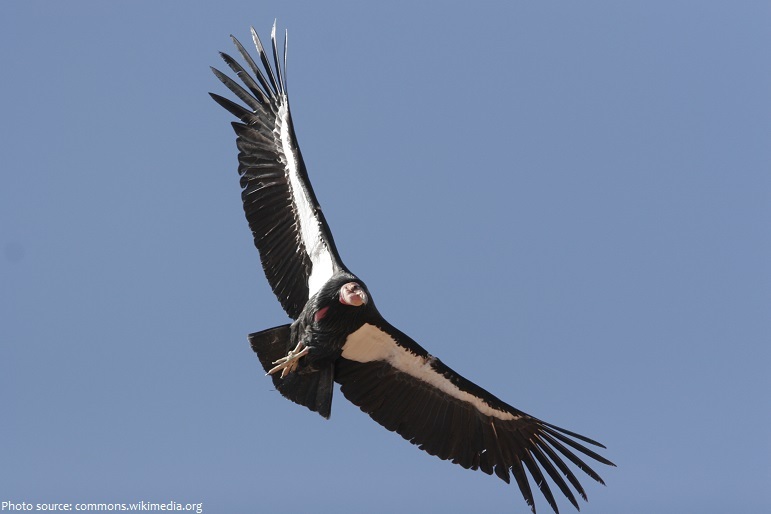 California condors live in rocky shrubland, coniferous forests, and oak savannas. 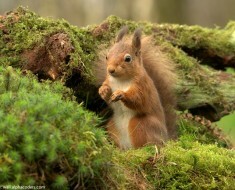 They are often found near cliffs or large trees, which they use as nesting sites. The California condor is one of the world’s longest-living birds, with a lifespan of up to 60 years. An adult California condor has a distinguishing orange-red to pink-purple head and neck which is bare skin except for sparse black feathers on the forehead. The body is feathered in black with large white patches on the underside of the wings; a black feather ruff rings the neck. 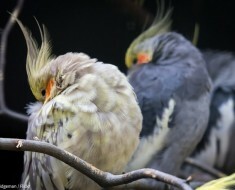 The sexes are alike in coloring and plumage. Contrary to the usual rule among true birds of prey, the female is slightly smaller than the male. Overall length can range from 109 to 140 cm (43 to 55 in) and wingspan from 2.5 to 3 m (8.2 to 9.8 ft). Their weight can range from 7 to 14 kg (15 to 31 lb), with estimations of average weight ranging from 8 to 9 kg (18 to 20 lb). Wingspans of up to 3.4 m (11 ft) have been reported but no wingspan over 3.05 m (10.0 ft) has been verified. California condors have the largest wingspan of any North American bird. They are surpassed in both body length and weight only by the trumpeter swan and the introduced mute swan. The American white pelican and whooping crane also have longer bodies than the condor. Condors are so large that they can be mistaken for a small, distant airplane, which possibly occurs more often than they are mistaken for other species of bird. 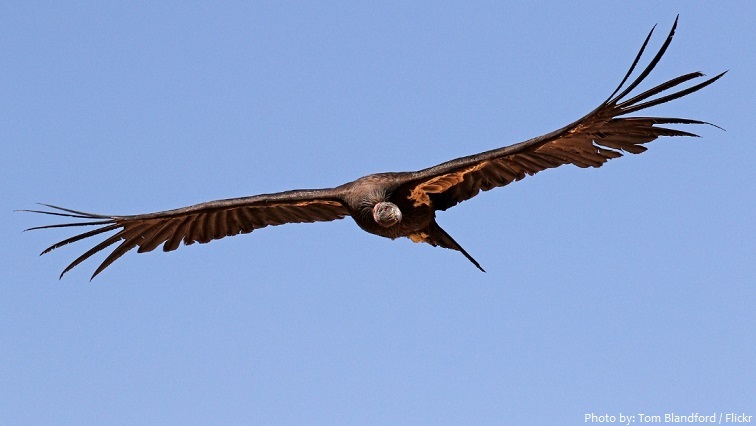 When in flight, the movements of the condor are remarkably graceful. The birds flap their wings when taking off from the ground, but after attaining a moderate elevation they largely glide, sometimes going for kilometers without a single flap of their wings. California condors can reach flying speeds of up to 90 kilometers per hour (56 miles per hour), and they can fly to altitudes of 4,600 meters (15,000 feet). Wild condors maintain a large home range, often traveling 250 kilometers (160 miles) a day in search of carrion. California condors are vultures. Like all vultures, they are carrion feeders, not predators. They prefer to feast on large, terrestrial mammalian carcasses such as deer, goats, sheep, donkeys, horses, pigs, cougars, bears, or cattle. Alternatively, they may feed on the bodies of smaller mammals, such as rabbits or coyotes, aquatic mammals such as whales and sea lions, or salmon. California condors often going for between a few days to two weeks without eating, then gorging themselves on 1–1.5 kilograms (2.2–3.3 lb) of meat at once. The most valuable role of carrion feeders is the safe disposal of dead, decomposing and diseased animals, protecting human and animal co-habitants from ill effect. California condors have a very hardy and effective immune system, so they don’t get sick from any of the bacteria they may come in contact with when feeding on decaying animals. California condors are tidy birds; they like to groom themselves – plumage is carefully preened and kept well arranged; the bare head and neck are cleaned after feeding – by rubbing them on grass, rocks, or branches. California condors spend more time in a day roosting than flying. This time is mostly taken up with preening or sunning. Sunning is done mostly first thing in the morning, when the condors warm up with the sun’s rising. The black birds capture sunlight and warmth with extended wings turned to the sun. 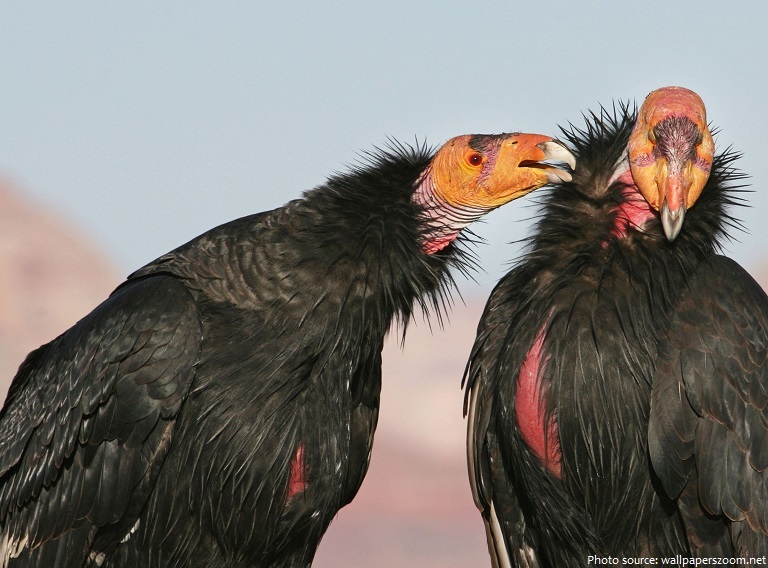 California condors have a complex social system. 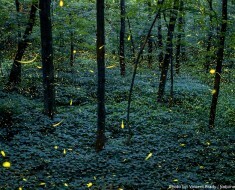 They are monogamous and, once established, generally pair for life. However, if a pair is unsuccessful, each bird may seek out a new mate. Condors, like other vulture species, are social birds that share food and spend time resting near one another. 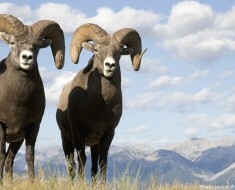 They use a variety of body postures to communicate with one another to maintain social hierarchies. California condors don’t have a true voice box or syrinx like other birds, but they can make crude, primitive vocalizations, such as grunt, wheeze, or hiss. To attract a prospective mate, the male condor performs a display, in which the male turns his head red and puffs out his neck feathers. He then spreads his wings and slowly approaches the female. If the female lowers her head to accept the male, the condors become mates for life. The pair makes a simple nest in caves or on cliff clefts, especially ones with nearby roosting trees and open spaces for landing. The adult female lays a single bluish-white egg. Both parents incubate the egg and care for the chick, and they may only raise one chick every other year. The young are covered with a grayish down until they are almost as large as their parents. They are able to fly after five to six months, but continue to roost and forage with their parents until they are in their second year, at which point the parents typically turn their energies to a new nest. Although adult condors have no predators (other than humans), eggs and chicks may be attacked in the nest by ravens or golden eagles. California condors have the lowest reproductive rate of any bird species. In early 2007, a California condor laid an egg in Mexico for the first time since at least the 1930s. 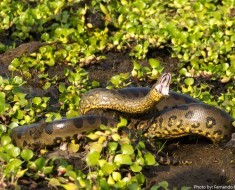 The species is listed as critically endangered by the IUCN. The California condor is a significant bird to many Californian Native American groups and plays an important role in several of their traditional myths. Unusually, this bird takes on different roles in the storytelling of the different tribes. 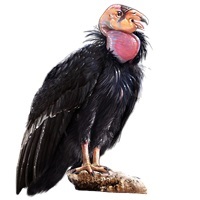 The Wiyot tribe of California say that the condor recreated mankind after Above Old Man wiped humanity out with a flood. However, other tribes, such as California’s Mono, viewed the condor as a destroyer, not a creator. 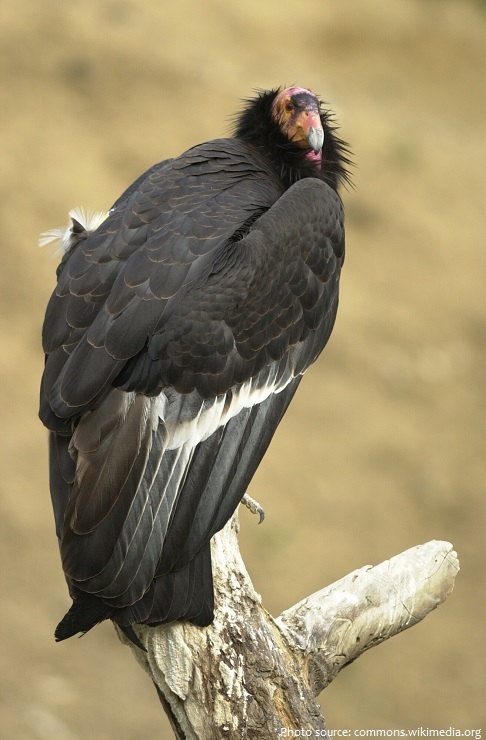 Some tribes ritually killed condors to make ceremonial clothing out of their feathers. Shamans then danced while wearing these to reach the upper and lower spiritual worlds. Whenever a shaman died, his clothes were said to be cursed, so new clothing had to be made for his successor. Some tribes call it the thunderbird because they believe the bird brings thunder to the skies with the beating of its huge wings.